The influence of surfactants of different nature on physico-chemical parameters and efficacy of electroflotation disperse phase extraction of metals. The scheme allows to purify waste water complex of heavy metal ions (Zn2+, Ni2+, Cu2+, Cr3+,6+, Fe2+,3+) and petroleum products (oil, diesel). Its advantages are that most of the effluent (treated) can be reset in a citywide sewage system, while a small part (10%) – 5 returned to the device and purify by other methods (membrane), either by itself or with the new runoff. Thus, there is the possibility of a closed loop process of purification, which gives tangible economic benefits, as well as considerably (up to 5 times) increases the service life of the membrane and nanofilters. Polluting components are removed in the form of froth product (flotoslame) and can be recycled solid waste reception points. A schematic process flow cleaning water drains of complex composition. Keywords: ecology, wastewater, water quality, surfactants, heavy and non-ferrous metals, petroleum products. Kapustin Y.I., Vorobyov O.I., Matveeva E.V., Bondarev G.M., Kolesnikov A.V. Extraction of emulsified oil from water runoff by electroflotation // Water. 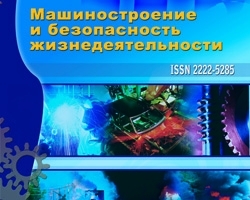 Chemistry and Ecology, 2008, №2. – P. 19-24. Kolesnikov A.V. The influence of the surfactant – active agents to extract elektroflotation poorly soluble compounds of copper, nickel and zinc in the process of wastewater treatment: Abstract of thesis. … candidate. tech. science. – Moscow, 2012. – 19 p.